Breakthrough Time-Travel Vehicle to Rectify your Past: Coming soon to GooHoo auto dealers! Reading popular science stories in the news, it is impossible to avoid encountering an ever expanding list of scientific or medical “breakthroughs.” Breathless reporters drink the Kool Aid so often, it’s surprising that there is not an outbreak of diabetes at newsrooms and blogs across the country. The most horrific scourges of humankind, like cancer and dementias, are cured at least a half dozen times a day by scientists around the globe. Technological marvels such as flying cars and deadly artificially intelligent robots are just around the corner. Want to travel to Mars? Great– you can practically book your passage today. Have a desire to relive your life, morph regrets into accolades? 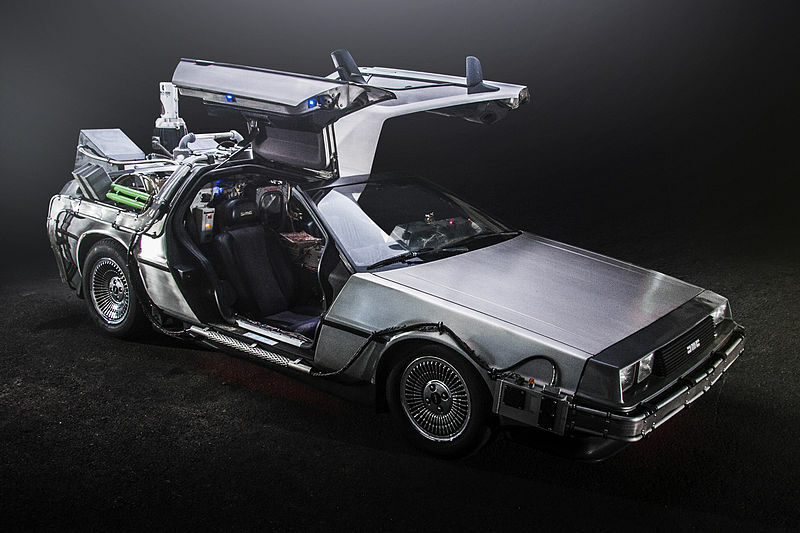 No problem– some physicist has proclaimed that time travel may be possible– just need to find that special Delorean and get Back to the Future. Say what? You don’t believe everything you read. Good for you. The problem is that journalists write articles as if they do. Finding context and doing homework are too much work for far too many of today’s reporters and bloggers, and besides, skepticism ruins a good story. What are the chances that the last hyper-kinetic headline you read is actually a narrative fallacy? But no worries, transient collective memory wipes clean the slate of errors. Quality fact checking is as rare as a an elephant born with wheels, not feet. How many writers paid attention in science classes anyway? Even if one had exemplary grades, was critical scientific thinking even being taught back in school? We live in an egalitarian society in at least one respect: there is a pervasive feeling that one’s own opinion is worth at least as much as any so-called expert’s. And experts themselves rarely suffer fools gladly, especially when tomfoolery is synonymous with “peer” in their lexicon. Even worse, the philosophical pablum that there is no truth, only opinion can be used to justify any discourse. Even this blog post.